Vacation rental managers often struggle running complex back-office operations that their business demands. Many managers face overwhelming guest expectations and sub-par property maintenance, on top of juggling constant requests from owners. Executing cleans, inspections, and maintenance across unique properties on a tight time-frame is tough, and the consequences of failing to rise to the challenge can affect a company’s brand. Running a vacation rental company without tech-driven programs can result in more than just stressful turn days; it exposes managers to unprepared units, guest refunds, liabilities, owner maintenance disputes, and lost revenue. 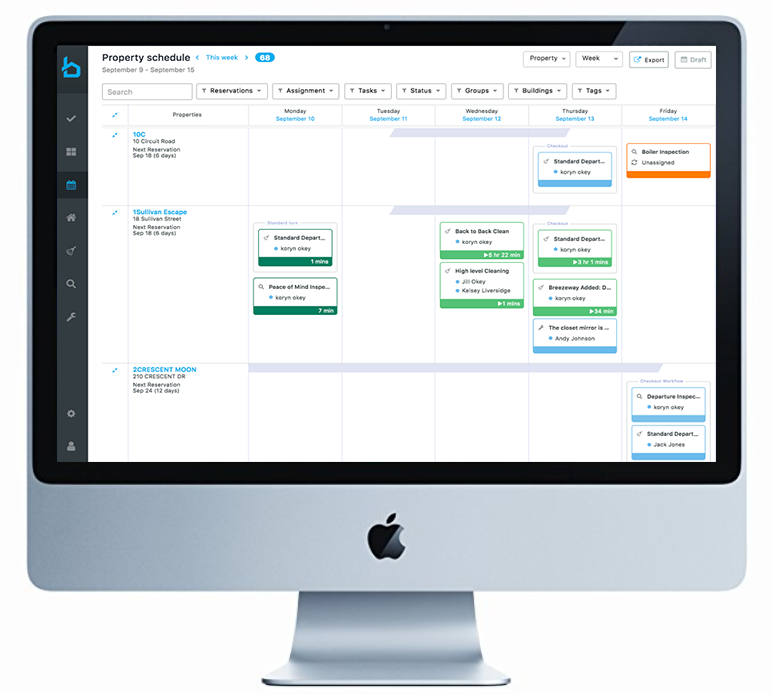 The Barefoot team is excited to announce its partnership with Breezeway, a new mobile solution that helps vacation rental managers master their back-end cleaning and maintenance operations. Breezeway is a perfect fit for Barefoot because it gives us a deeper suite of back-office functionality to offer our clients that want to use detailed checklists for cleaning and inspections. Better yet, the integration automatically pulls your inventory and booking schedule, which makes it easy for you to coordinate turn-days. As a Barefoot client, you can claim a free Breezeway trial, or feel free to reach out to Barefoot or Breezeway to get started! What Results are Managers Seeing? 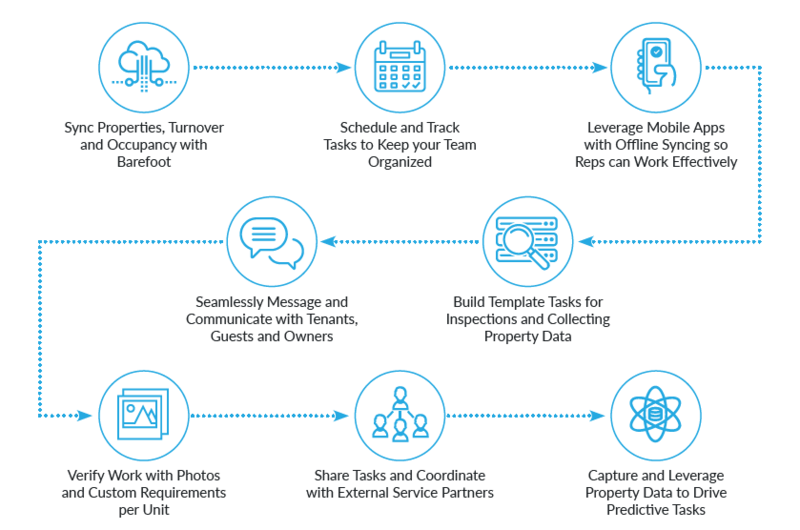 Through comprehensive functionality that includes photo uploads, customized checklists, and task assignments, Breezeway is giving property managers visibility into the day-to-day needs of each property. Task coordination is a lot easier, and managers are reducing missed cleans by 95% and saving 30+ hours of scheduling per week. Sharing reports with owners has enabled managers to demonstrate transparency. They can showcase their knowledge and care of each home, all while eliminating maintenance disputes. Smart maintenance programs have led to increased service revenue and the ability to attract more owners. As a result, Breezeway customers are better monetizing their repair work, and are billing owners an additional $5k per month. How Can You Get Started with Breezeway? Breezeway offers Barefoot customers a free 14-day trial! Claim your free Breezeway trial here, or reach out to Barefoot or Breezeway by filling out the form to the right to get started.